This small night stand has a convenient drawer and shelf for storing all your bedroom accessories. You will love being able to keep your books handy on the bottom shelf. 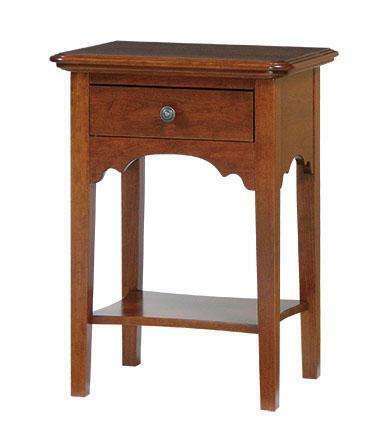 The Early American inspired lines makes for a beautiful bedroom night stand. Our Amish Bedroom Furniture is handcrafted in the USA! Please be sure to call us with questions at 1-866-272-6773. At DutchCrafters we are here for our customers!